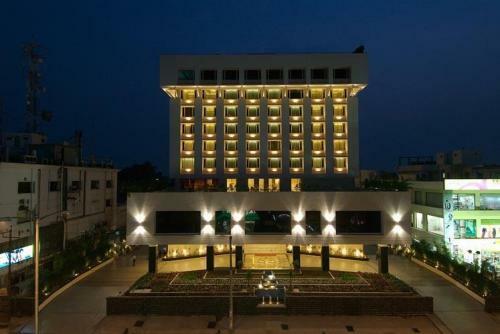 Taj Gateway Hotel, M G Road Vijayawada is situated in the heart of the business centre of Andhra Pradesh, Vijayawada. 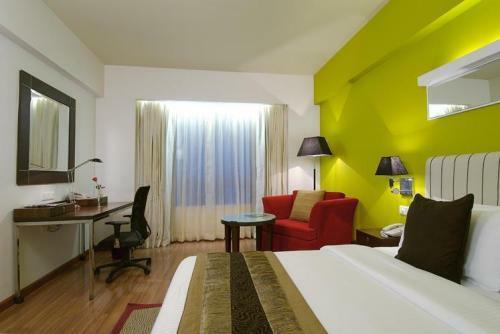 The hotel also enjoys proximity to the domestic airport as well as railway station. The hotel is part of Taj Group of Hotels who have carved a niche for themselves in the upscale hospitality industry of South Asia. 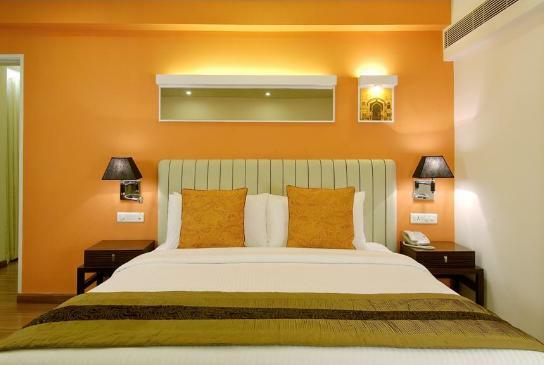 The hotel is aesthetically designed and comes with all modern amenities that are needed by the discerning travelers. 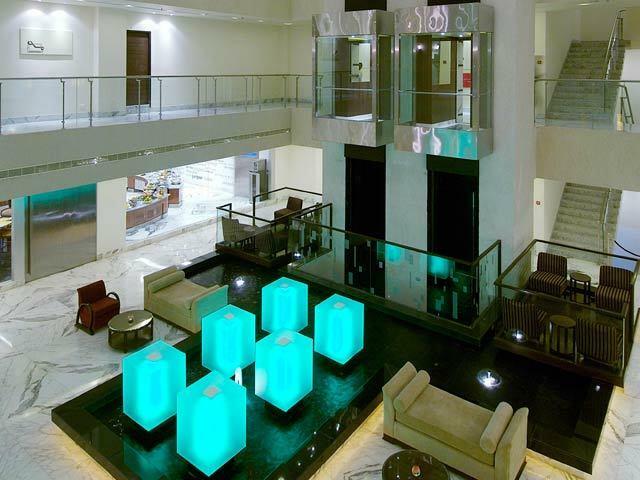 The hotel through its impeccable and personalized services makes the guests to feel at home. The hotel offers six kinds of accommodation to the guests that are categorized into Standard Rooms, Superior Rooms, Executive Rooms, Executive Suites, Deluxe Suites and Gateway Suites. The hotel comes with it two restaurants that provide the guests with gastronomical journeys, a bakery and a bar for them to relax. 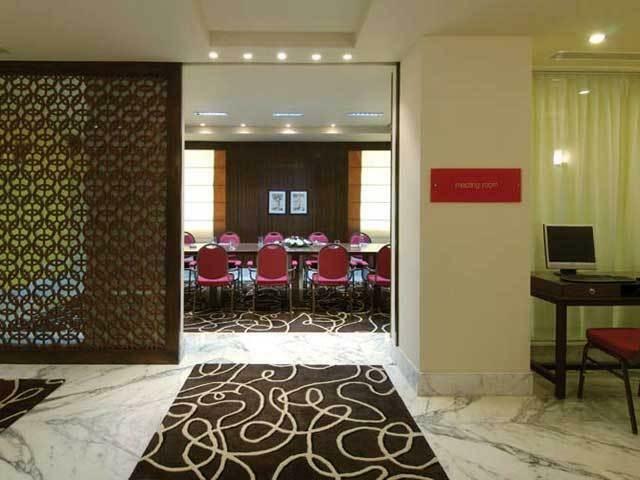 The hotel has a fully equipped business centre and three conference halls to satiate the needs of the corporate clients. 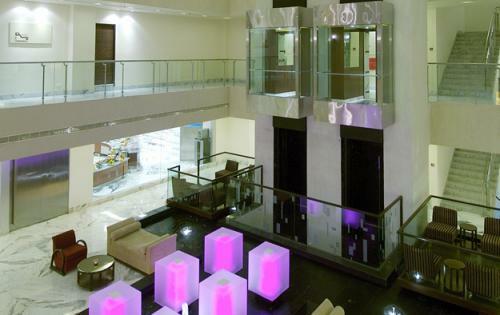 The hotel also comes with three banquet halls with one of them being largest pillarless hall. The hotel has a rooftop swimming pool and events are also organized alongside the pool. It is the only hotel to have swimming pool as well as largest car parking in the city. 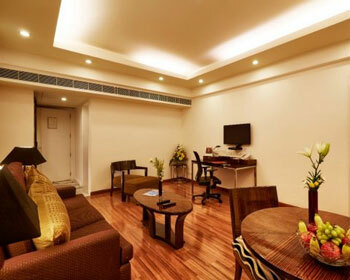 The hotel also comes with health club, utility shop, saloon, florist and facilities for physically challenged, etc. The hotel also arranges for sightseeing trips in and around the city. 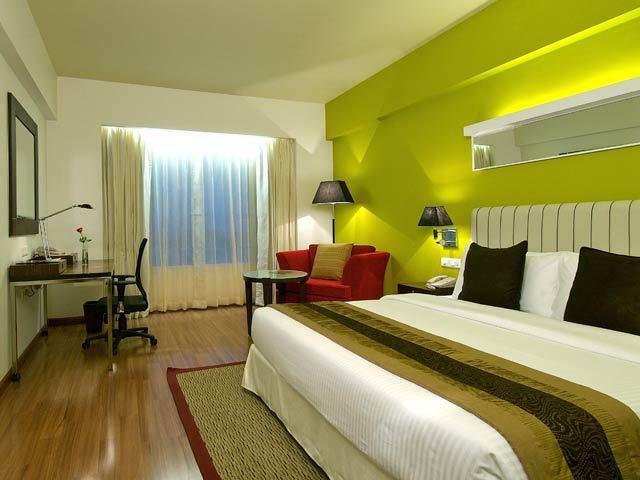 The hotel is the smart choice for both business and leisure travelers. 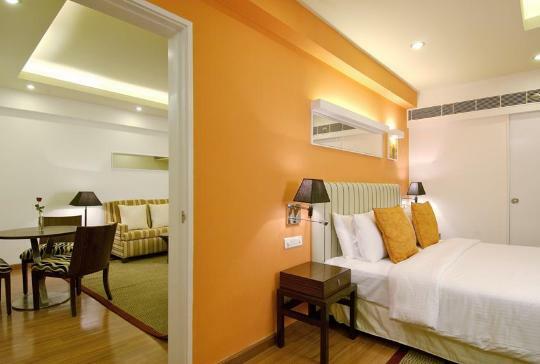 These are elegant, beautiful, well appointed and well maintained rooms. These rooms come with a spacious sitting area and a work area. The large window of the room provides beautiful view of the Krishna River and surrounding hills apart from providing the necessary ventilation and natural light. These rooms are situated on the 3rd to 7th floor and are ideal for business travelers who need privacy as well as all modern amenities. Some of the amenities provided are master beds, attached bathroom with hot/cold water, shower cubicle/bathtub, 24 hrs room service, laundry/dry cleaning, housekeeping, Wi Fi internet, LCD TV with satellite connection, telephone with direct dialing, tea/coffee maker, mini bar, DVD on request, in room safe, complimentary newspapers/periodicals, doctor on call, car parking, etc. 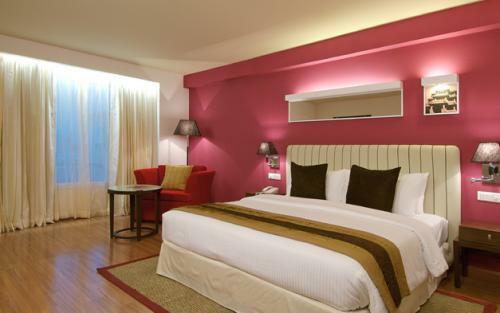 These rooms are also situated from 3rd to 7th floors and are large, spacious, luxurious and well appointed rooms. These rooms also come with a work area, a large sitting area and a large window that offers beautiful views of the city, hills and the River. 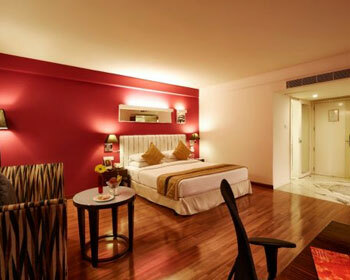 These rooms are ideal for couples or for business traveler who require much moving around space. These rooms are further provided with amenities like attached bathroom with hot/cold water, master beds, shower cubicle/bathtub, laundry/dry cleaning, 24 hrs room service, housekeeping, LCD TV with satellite connection, Wi Fi internet, telephone with direct dialing, mini bar, tea/coffee maker, DVD on request, complimentary newspapers/periodicals, in room safe, car parking, doctor on call, etc. These are located on the eth floor and offers spectacular views of the beautiful city, surrounding hills and the Rivers. These rooms are elegant, spacious, well furnished and well adorned. 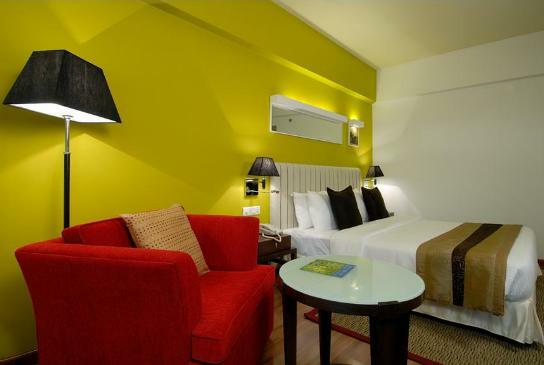 These are ideal for those who want a comfortable stay in the heart of the city with utmost privacy. These rooms also come with separate sitting area and a work area. The amenities provided in these rooms are shower cubicle/bathtub, attached bathroom with hot/cold water, laundry/dry cleaning, master beds, 24 hrs room service, LCD TV with satellite connection, housekeeping, Wi Fi internet, mini bar, telephone with direct dialing, DVD on request, tea/coffee maker, doctor on call, complimentary newspapers/periodicals, car parking, in room safe, etc. These contemporary suites are located on the third to 7th floors. These rooms come with a living room and a spacious bedroom. 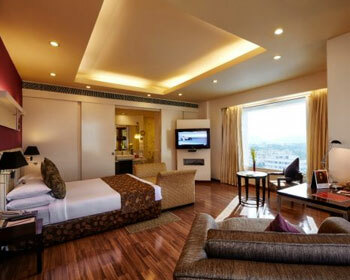 These rooms are also airy, well lit and offers exquisite view of the surroundings. These are ideal for those who travel with their family or those who need large accommodation. Further these rooms come with amenities such as wardrobe, complimentary breakfast, King sized beds, shower cubicle/bathtub, laundry/dry cleaning, attached bathroom with hot/cold water, LCD TV with satellite connection, 24 hrs room service, Wi Fi internet, housekeeping, mini bar, DVD on request, telephone with direct dialing, doctor on call, complimentary newspapers/periodicals, in room safe, car parking, tea/coffee maker, etc. These are situated on the 6th floor and offers wonderful view of the hills on one side and the beautiful river on the other side. These are also spacious, luxurious, well furnished and well maintained suites that come with a spacious living room with dining area and a master bedroom with sitting area. These rooms are ideal for corporate traveler or for those who travel with their family. These rooms come with amenities like Jacuzzi, complimentary breakfast, wardrobe, shower cubicle/bathtub, King sized beds, laundry/dry cleaning, LCD TV with satellite connection, attached bathroom with hot/cold water, Wi Fi internet, 24 hrs room service, mini bar, telephone with direct dialing, DVD on request, complimentary newspapers/periodicals, doctor on call, in room safe, tea/coffee maker, car parking, housekeeping, etc. 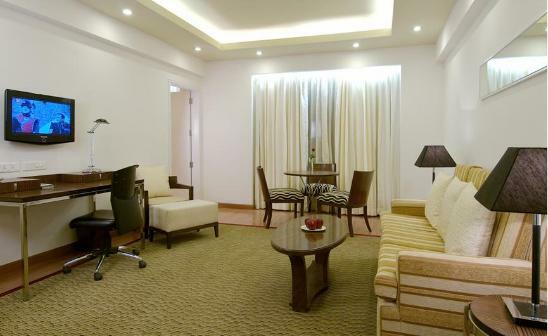 These are signature suites of the hotel that comes with all contemporary amenities. Situated on the eighth floor, these suites come with a spacious bedroom adjoining a separate and large living room. These suites are elegantly designed and beautifully adorned and the bedroom comes with a spacious sitting area and a separate dining area in the living room. These are also ideal for corporate travelers and the guests can have a magnificent view of the city and those who stay in these suites also enjoy 20% discount on meals, soft beverages and business centre facilities. These rooms are provided with amenities like complimentary breakfast, wine and chocolates, Jacuzzi, shower cubicle/bathtub, wardrobe, King sized beds, LCD TV with satellite connection, laundry/dry cleaning, attached bathroom with hot/cold water, 24 hrs room service, mini bar, DVD on request, telephone with direct dialing, doctor on call, complimentary newspapers/periodicals, tea/coffee maker, in room safe, housekeeping, car parking, Wi Fi internet, etc. The well stocked bar comes with an exotic range of wines, spirits, alcohols, liquors, beers, cocktails, mocktails, etc from around the world. 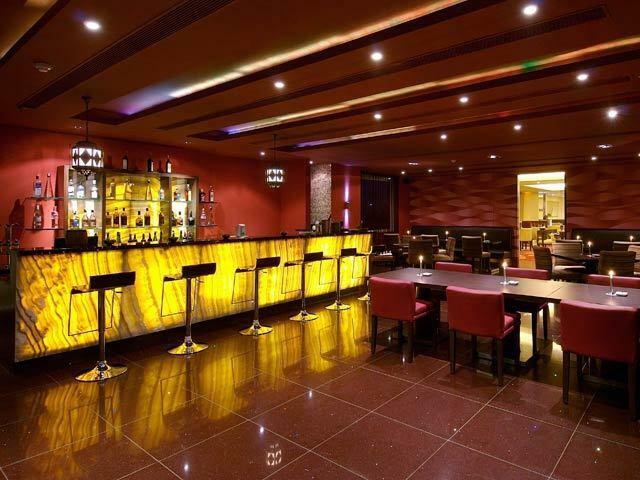 The bar also serves lip smacking delicious snacks, finger foods and short eats along with the drinks. It is a perfect place to unwind with your friends or colleagues at the end of a hectic day of work or leisure. You can even host your business client for a casual party or close a deal or two in the bar. 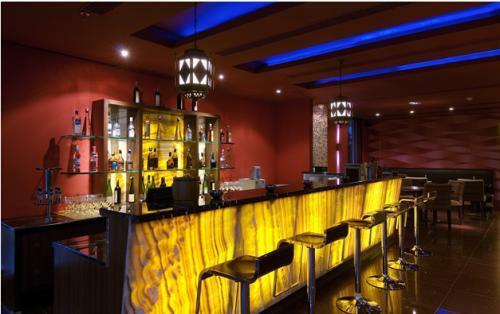 The bar comes with stylish interiors which sets the mood for the guests. You can also spend the evening chatting with your friends and enjoying your favorite alcoholic or non alcoholic beverages along with delicious snacks. If the guests want to have private drinking then it will be served in their room itself. This is the only restaurant in Vijayawada that serves authentic Andhra cuisines. The 24 hrs delectable on-site Andhra restaurant serves a wide variety of delicious Andhra cuisines as well as Indian cuisines. It is the best place to savor various delicious delicacies of Andhra Pradesh. The chef prepares the food using fresh local ingredients and also ensures that it prepared in clean and hygienic manner so that it is not only luscious but also nutritious. The guests can also customize their menu by talking to the chef well in advance. The food served is exotic, sumptuous and scrumptious which will tickle your taste buds making you to want more and more of it. 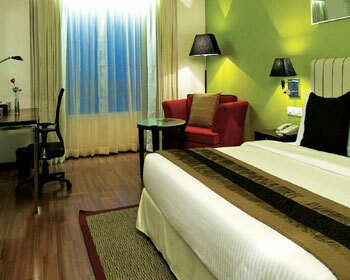 The restaurant also offers round the clock room service facilities. It also welcomes outside guests. 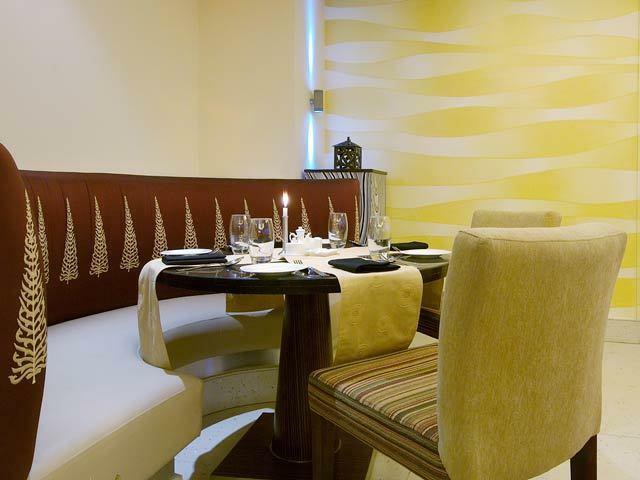 The 24 hrs delectable on-site multi-cuisine restaurant serves Indian and continental cuisines. The restaurant serves both in buffet style as well as a la carte menu. The specialty of the restaurant is the local Andhra cuisines which also includes traditional Andhra Thali. During your stay, make the most of it and gorge on the menu available including the local delicacies. The chef prepares delicious delicacies in order to pamper the guests with the most exotic and exquisite dishes. The food served is also sumptuous and delicious and will invigorate your jaded palate making you to wanting more. The restaurant also offers in room dining facilities. It also hosts local guests. If you have sweet tooth, then your ideal stop should be at the bakery. The cake shop serves a wide variety of pizzas, baked breads, puffs, pastries, fruit pies, cookies, cakes, etc. The bakery comes with elegant and warm interiors and is the ideal place to spend your evening by munching on your favorite dishes. You can also order for take away food. It is also an ideal place for the locals to hang out with their friends, family or colleagues. The taste of delicious and freshly baked cakes, pastries, cookies, etc will linger in your mouth and will be a feast to your palate. The guests can also get it delivered at their rooms.